Does your child struggle with maths? Does your child’s maths homework bamboozle you too? You’re not alone! Teacher Diane Bastable explains how you can help your child do better in maths. The Australian Mathematics curriculum has changed significantly in the past 10 years, so it is no wonder many mums and dads are confused by it! Former NSW Department of Education Numeracy Advisor and experienced primary maths teacher, Diane Bastable has been teaching in NSW schools for more than 30 years. Diane says that many parents lack confidence when it comes to helping their children with maths homework. Diane says that although some aspects of maths, such as times tables, haven’t changed much, these days kids are using new terminology as they add, subtract, divide and multiply. According to Diane, many parents make the mistake of trying to teach children the methods they were taught decades ago. Dianne encourages parents to get involved with their child’s maths and give their kids lots of exposure to maths in the real world. Need ideas for at home activities that build kids’ maths confidence? Download your copy of our free parent resource below. Need Maths help for your child? If your child struggles with Maths, Kids First can help with Maths tutoring that works. 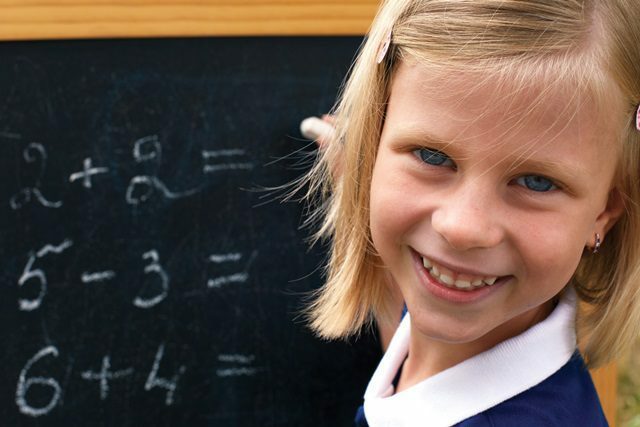 Kids First’s qualified teachers provide Maths tuition at our centre in Sydney’s northern beaches and have years of experience in NSW classrooms. Contact Kids First today on (02) 9938 5419 to arrange a FREE 30 minute maths skills screening and find out how we can help your child to improve in maths. ← What does a children’s speech pathologist do?